Cutlets are the most popular and common street food. These snacks are prepared with vegetables (of your choice), mixed with boiled and mashed potatoes, some Indian spices, either shallow fried or deep fried. This is the perfect snacks that is enjoyed by everyone with the cup of evening tea or coffee. It can also be served in the party along with some spicy dipping. Corn starch - 2 tbsp +1 tbsp mix in 1/2 cup of water. Heat oil in a pan on medium flame. Add fennel seeds and asafoetida. Let it splutter for a minute. Then add grated ginger and chopped green chillies. Saute them for a minute . Add finely chopped bellpepper and fry for 4 minutes. Then add mashed potato and all the dry masala powder. Mix everything well. 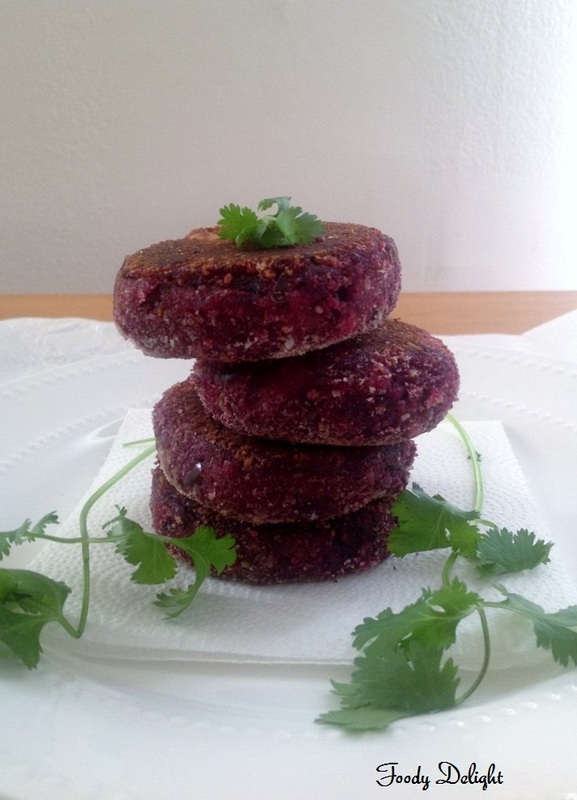 Now add grated beetroot and cook for 5 minutes. Then add cashewnuts, cilanttro and cornstarch. Mix everything well and cook again for 2 minutes and turn off the flame. Allow the mixture cool down. Mix water and cornstarch into one bowl and prepare the thin paste without any lumps. Take out the breadcrumbs into one plate. When the cutlet mixture cools down , make the cutlets of desired shape, dip them into cornstarch mixture then roll it in breadcrumbs. Repeat the same with the remaining cutlet mixture. 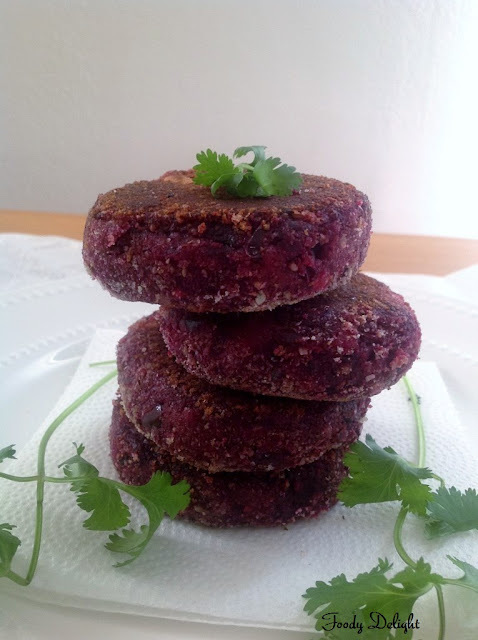 After you finish doing the cutlets, keep them into refrigerator for 30 minutes. After that shallow fry the cutlets to golden colour. You can either shallow fry or deep fry. 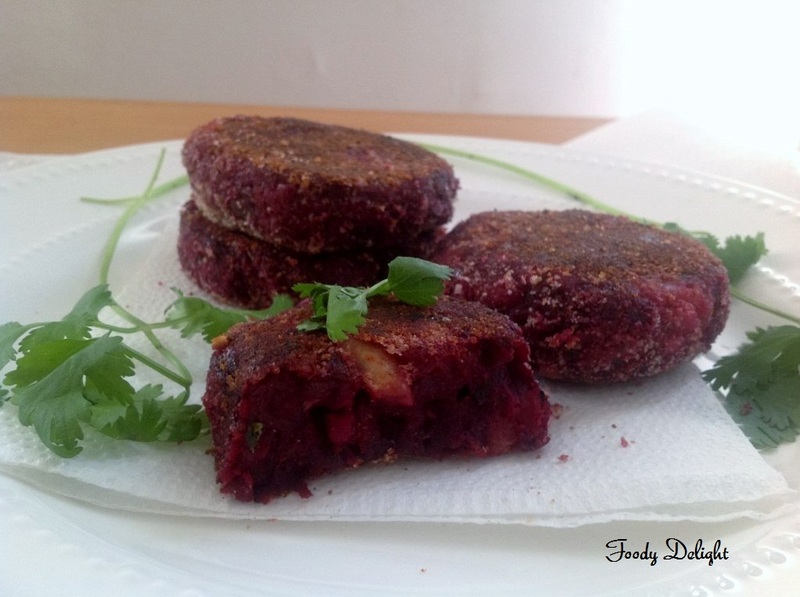 Beetroot cutlets are ready to serve. 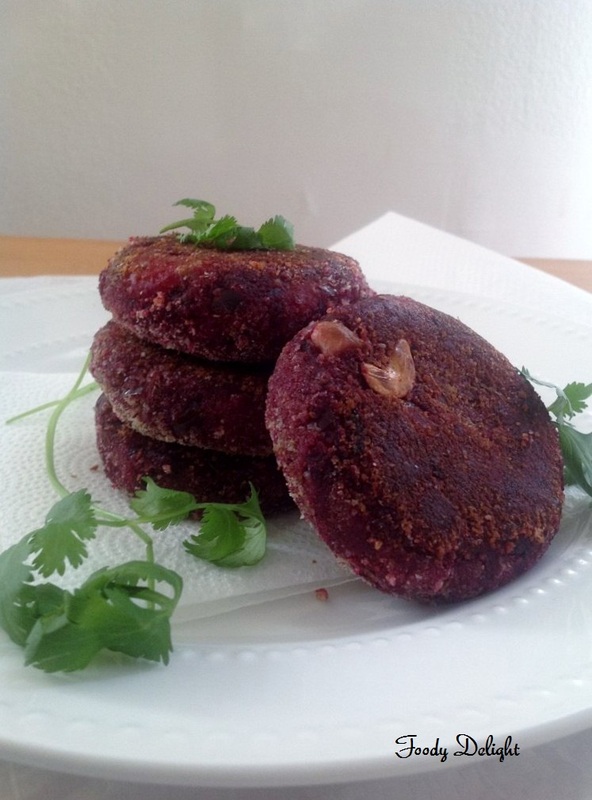 Cutlets can be served with tomato ketchup or any green chutney. Catchy and super colourful healthy cutlets. perfectly made.. cant take off my eyes from them..